Surendra Kumar And Company is incepted in the year 1976 and our 33 and above years of market presence is the result of our continuous efforts towards developing a quality assured and a technology based range of machines for packaging. Our wide range crosses more than 500 products, some of which include vacuum packing machines, shrink packing machines, box strapping machines, automatic pouch packing machines, semi automatic packing machines, portable bag closer machines, industrial powder filling machines, decorative stitch machines, multi needle stitching machines, stitching machines and industrial threads. 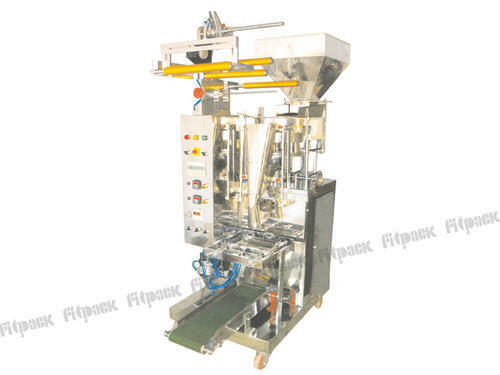 Our packaging machines are continuously evolving and upgrading owing to the technological advancements taking place in the industry. Designed as per the quality standards of the industry, our range is subject to customization as per the specifications laid down by our clients. Our wide distribution network and efficient logistics make us a reckoned name among our clients spread across the globe. We offer the Fitpack brand products.